The perfect wash for aircraft exhausts. Just shake well before use and you can apply it directly to your model to create depth in the details of the aircraft exausts and engine parts. This is an enamel product and can by dissolved using white spirit or Odourless Turpentine. 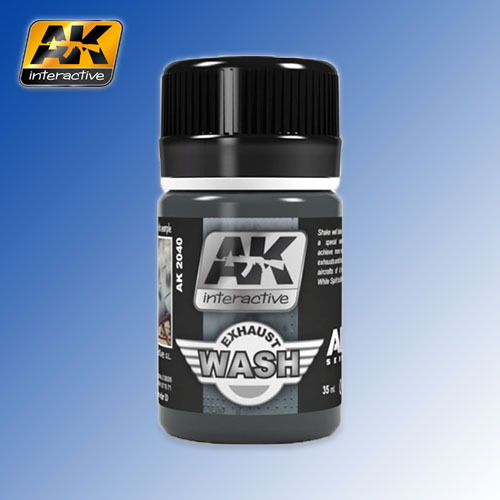 We recommend that this product is applied to surfaces that have been painted or varnished with acrylic paint.